"Why do Lithuanians and Estonians water their flower gardens with oil? So that their weapons wouldn't rust," such is a joke about the residents of the Baltic States by Russians exhausted by matured socialism and stagnation. This, Estonian diplomat, security specialist and former head of Estonian intelligence Eerik-Niiles Kross shows that we have not forgotten our history, remain realistic regarding Russia and know how to act regarding our big neighbour Lietuvos Žinios writes. The Estonian politician, currently working at the European Parliament, visited the Lithuanian Riflemen Union's conference "Society – a guarantee of state security?" where he stated he is optimistic and believes in the people of the Baltics. They, Eerik-Niiles Kross points out, do not panic and remain calm, remember history and avoid naivety. "20 years ago when we toured European capitals and explained how we want to become members of NATO, we were told various things. Explanations that it is not necessary because Russia is now our ally and everything that happened is history. The truth is that for Russia's neighbours history is never just history," the former head of Estonian intelligence said. 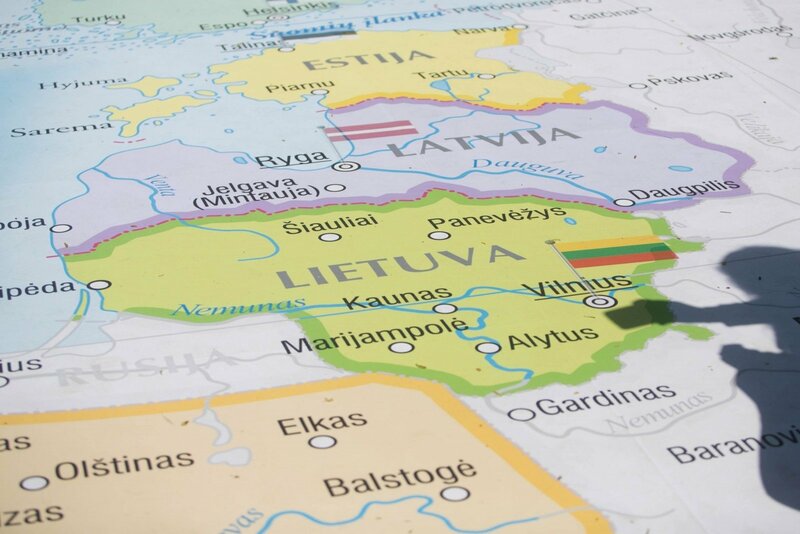 According to him, the views of the Baltic States toward Russia have remained mostly unchanged since 1991 and time has shown that we were right because we had realistic evaluations of the situation. "We have already faced Russia, we once lost our independence. As such we know how to act regarding that country. This is why we must not forget what gives us inner strength. Primarily history. Living memory which encourages society to unite and explains why we must defend ourselves and independence. We must clearly know what history we are telling ourselves, what is important to us, what we must uphold," Eerik-Niiles Kross said, stressing that the story of the partisans called forest brothers is special and it is crucial to pass it from generation to generation. This, the Estonian politician explains, is a part of history, which was attempted to be erased time and time again. Lietuvos Žinios interviewed Eerik-Niiles Kross after the conference on what is important and most important when living in contemporary Estonia and Lithuania. The former intelligence head points out that Russia keeps trying to find and exploit weaknesses in the Baltic States' history, knowing that the post-war era was very important to the smaller countries. E-N. Kross recalls how similarly to the recent case in Lithuania in the mid-1990s one of the last partisans killed in Estonia was accused of collaborating with the KGB, with documents appearing which suggested he was captured, collaborated and later escaped the clutches of the KGB. "Such stories are very harmful for national self-consciousness, trusting in its own strength. I would recommend not to yield to such provocations. Yes, history contains grey marks, but if we look at it from a broader perspective it will become very clear – either we remain or they do. Yes, people made mistakes in war, unfortunately no war can avoid this. Criminals appear in war as well, but looking at the broader historical perspective it was the good against the bad, us against them. Of course there are difficult moments, but this is not the main story. I do not know about you in Lithuania, but in Estonia we talk a great deal about our independence struggles. The history of that fighting was written in the inter-war era, it is our history, written by us. There were various things in that war, but when we talk about a war of independence, we do not start with the bad. How you talk about your history matters, terminology is also important. In most cases the history of the partisans, the forest brothers, written by Lithuanians, Latvians and Estonians is based on KGB documents because there is often nothing else available. This is why Russian terminology surfaces and emerges in the national narrative. We know they were not bandits and do not use such terms, but there are others who are simple and sometimes unnoticeable. It is written that the forest brothers were arrested, but in fact they were not arrested, but they were captured and were prisoners of war, these are the terms which should be used. Or another example, it is written that they were tried and shot to death, but in fact they were illegally murdered because it was done by occupation forces," the politician explained. He points out that there is need for standardisation of the terms used among the Baltics, with the war in Ukraine exemplifying just how important terminology is. "What you call the situation is what it will be. This is why terminology is very important and when you talk about partisans, forest brothers – especially so. The terms used can show that their [the partisans'] actions were legitimate, while their opponents were occupation forces," E-N. Kross said, pointing out the vastly different images in rhetoric were Russia talks about freeing Russian speakers in Ukraine, while the rest of Europe speaks of Russian separatists. The politician also points to an Estonian Supreme Court ruling where "thefts" by Estonian partisans in certain cases were done during partisan resistance and rather than theft were replenishment of resources. "Both then and now the Russians had little idea how to combat partisans, a mostly resisting society. It is easy to plan military action, when everything is clear, it is much harder to fight against a whole society, especially knowing that it is prepared to defend itself. The knowledge that every village holds people who are prepared to fight back is very important," E-N. Kross emphasised, pointing out that what is most different is that which we cannot see or calculate – internet "wars", hybrid warfare mechanics, rather than military equipment, troop numbers and plans. Vladimir Putin has transformed Russia into a well-oiled mechanism against democratic countries with things that once were done in windowless KGB offices being done in the open now, all aimed at weakening faith in democracy, democratic institutions and the EU, the Estonian politician said. "There are efforts to suggest that everyone lies, that there is no truth. This leads to people losing faith in politics, becoming apathetic and this weakens us. It is a multi-layered issue. What is also very important and dangerous is corruption and those who sell themselves for money, secretly performing services for money. This also weakens our society," the former head of Estonian intelligence stressed. E-N. Kross explains that while the Baltics experienced very similar fates, they experienced them individually, having lacked cooperation in the past and it is a mistake we should not repeat. Not only past experiences bind the three countries together, he notes that the Baltics are also united in how actively Russia operates in them, gathering information and seeking dominance in the information sphere. Nevertheless the politician believes that is more of a nuisance and is especially less effective in the Baltic States. What does leave the former head of Estonian intelligence concerned is Russian capacities to penetrate the security and cause damage in strategic objects, actively testing their capacities to this end. "They actively test their capacities and it is difficult to prove it, explain it, perhaps this is why a portion of people still do not understand what it is, how it happens, that it happens at all. Russia usually seeks plausible deniability. This is why it is crucial to not let them think that we do not know, do not see it and that they can get away with it," E-N. Kross concluded.